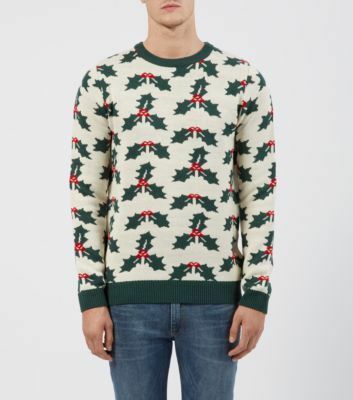 Wrap up warm in this super popular Christmas jumper, complete with 3D scarf. 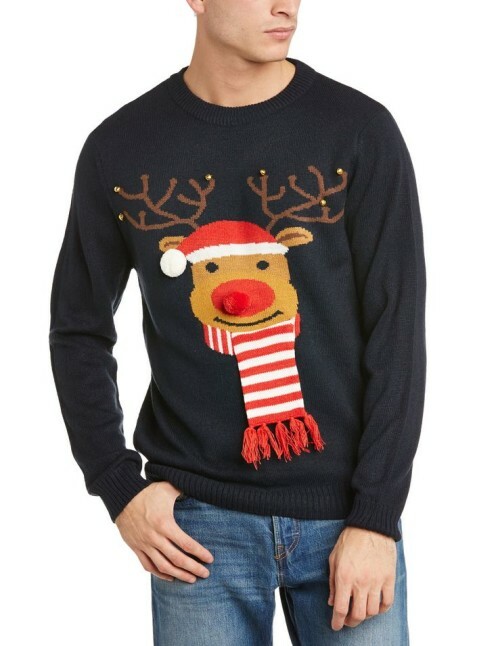 Fun Christmas reindeer jumper for him or her. 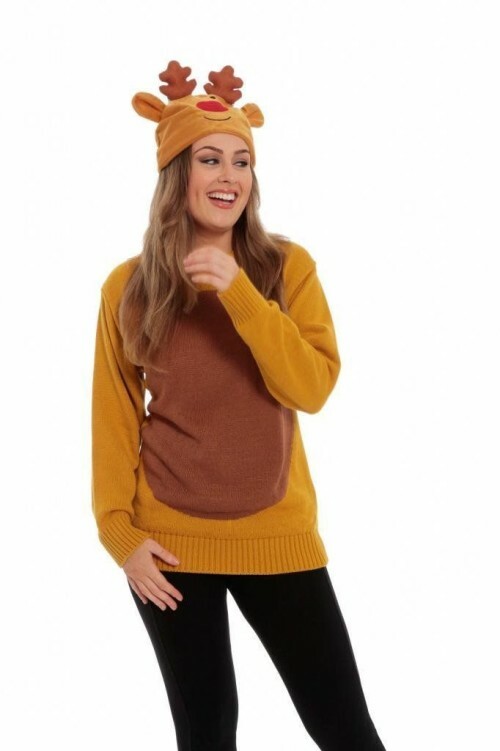 Brown jumper with a reindeer-tastic hat. 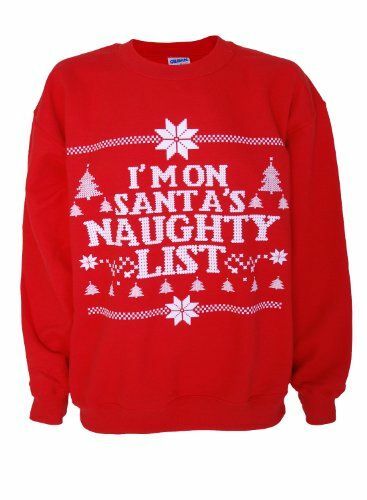 Men’s novelty Christmas jumper in red. Have you been a good boy this Christmas? Energise your casual winter wardrobe with this red and white cotton sweatshirt. Suitable for men or women. Cuddle into the supersoft polyester fleece lining while enjoying the festive comments this jumper’s logo is bound to arouse! A great price. Grab this bargain today. 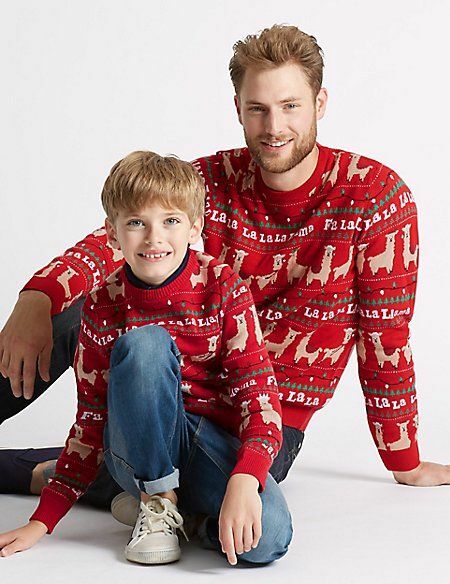 Celebrate this festive season in matching lama Christmas jumpers -perfect for children and those who are kids at heart.